A note from our nu founder, Aisling. Ali and I (Aisling) founded The Nu Wardrobe because we love fashion but know the industry has devastating social and environmental impacts. We found it hard to find alternatives to fast-fashion and felt guilty every time we wanted to wear something new. As young women we are on a tight budget and wanted to come up with a solution that would let everyone make more sustainable fashion choices no matter what their budget. And so, nu was born! We want to make the process of clothes-sharing easier so more people can share amazing outfits. This is why we brought The Nu Wardrobe online. It’s good for your pocket and good for the planet. The Nu Wardrobe; “You don’t need 50 dresses, you just need 1 dress and 50 nu friends”. Founders Aisling and Ali went to India on the Suas volunteer programme while we were in university and saw first hand the reality of the fast-fashion industry. When we came back to Dublin, we had a hard time finding alternatives to fast fashion that were affordable and accessible. We felt isolated in our efforts to make more conscious fashion choices and decided we needed to make a change. 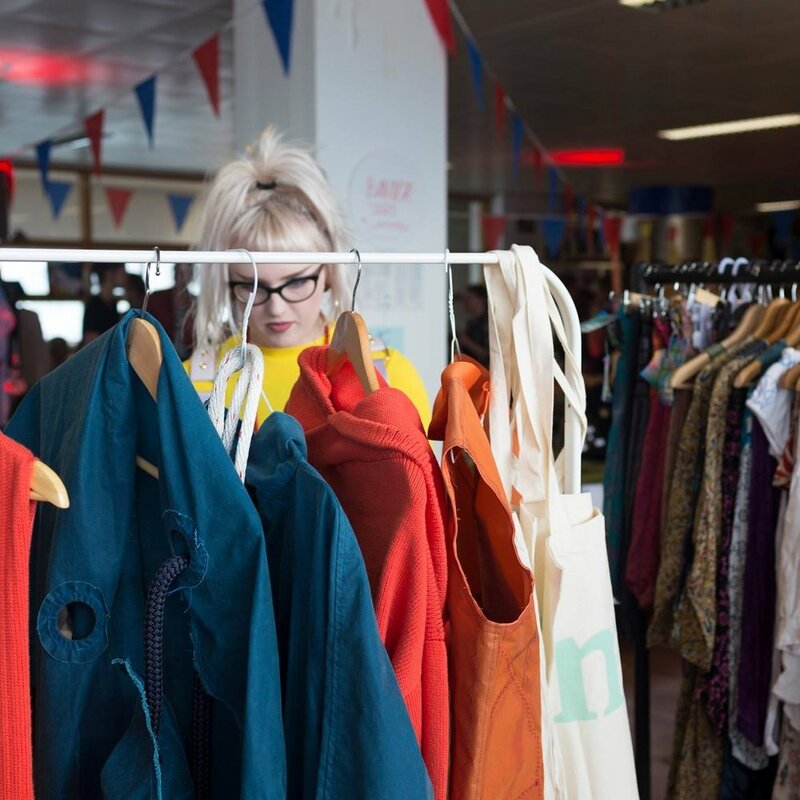 In our final year of university at Trinity College Dublin, we began to run swap shop events. This was slow to begin with but gradually more and more people came along and volunteered, building up the nu community. As the team expanded, we learned a lot about how to get people involved in the movement. We took part in the TCD launchbox incubator programme. A Summer programme for student entrepreneurs to bring their business ideas to life. Nu won the prize for 'most compelling pitch'. Ali left nu to pursue an amazing maters in Oxford university (but is still very much involved in the nu community) and Aisling continued to build Nu by leaving her role as a media planner and starting nu full-time on the Enterprise Ireland New Frontiers programme. Through our swap shops we realised wanted to be able to share clothes more than once a month, and that people wanted to make use of amazing outfits they keep in their closets, and so the idea of an online platform was born. This concept is different to swapping as people don't permanently give away their clothes, they borrow from each other for a few days or weeks. To trial this A very simple process was created for women to share their clothes for the Trinity Ball. We had 350 people sign up and 60 pieces we're borrowed. After the success of the Trinity Ball trial, the Nu Wardrobe platform was developed and set live in September 2017. People could now upload and share their clothes online with The Nu Community! We recruited amazing brand ambassadors across Ireland and the UK to begin setting up their own nu communities in their campus. This changed nu from an idea to a movement led by amazing young women! Nu represented Ireland in the global finals of Climate Launchpad in Cyprus, and won the London City Challenge to provide a circular fashion solution in the city of London. The Nu community expanded to London when we moved over to participate in the Bethnal Green Ventures accelerator, at the same time we also participated in stage one of the Climate KIC accelerator. We're currently building the nu community in East-London by recruiting our first 100-250 members before officially launching here.